Erik Fender is the son of Martha Appleleaf and the grandson of noted potter Carmelita Dunlap. Erik combines classic San Ildefonso imagery with his own creative style. 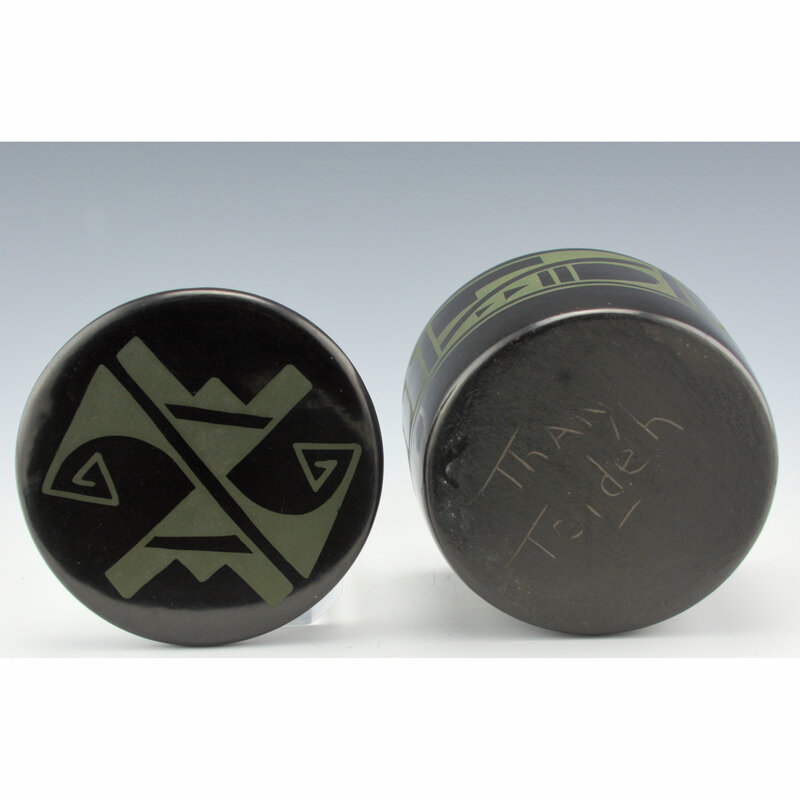 His pottery is signed, with his Tewa name, “Than Tsideh”. 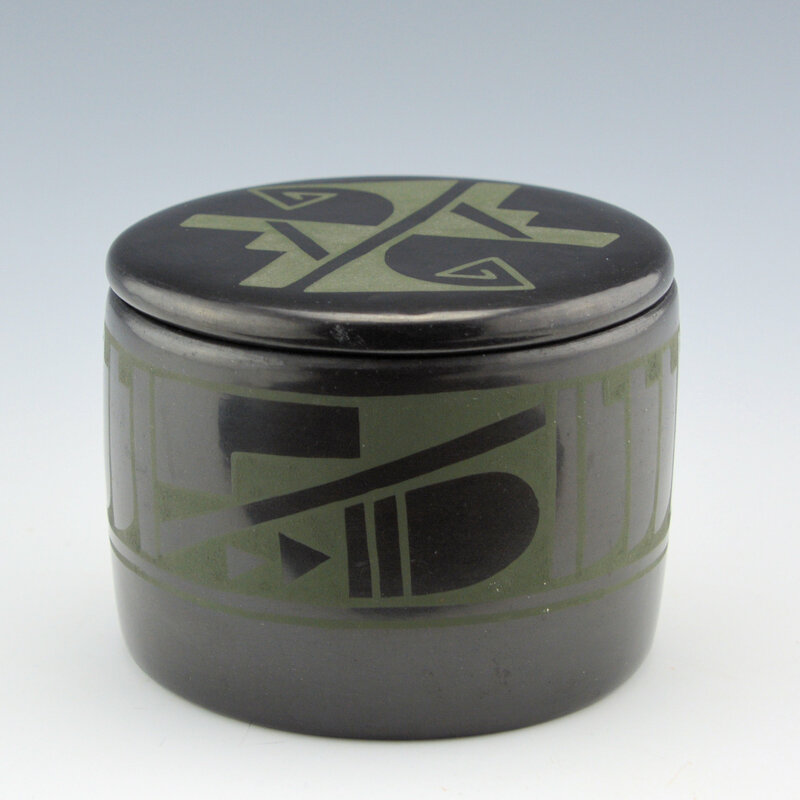 This is a round bowl painted with a feather and storm design. 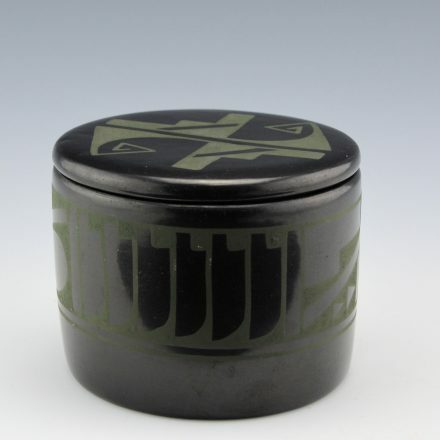 The piece has a lid on which is painted a wind pattern. 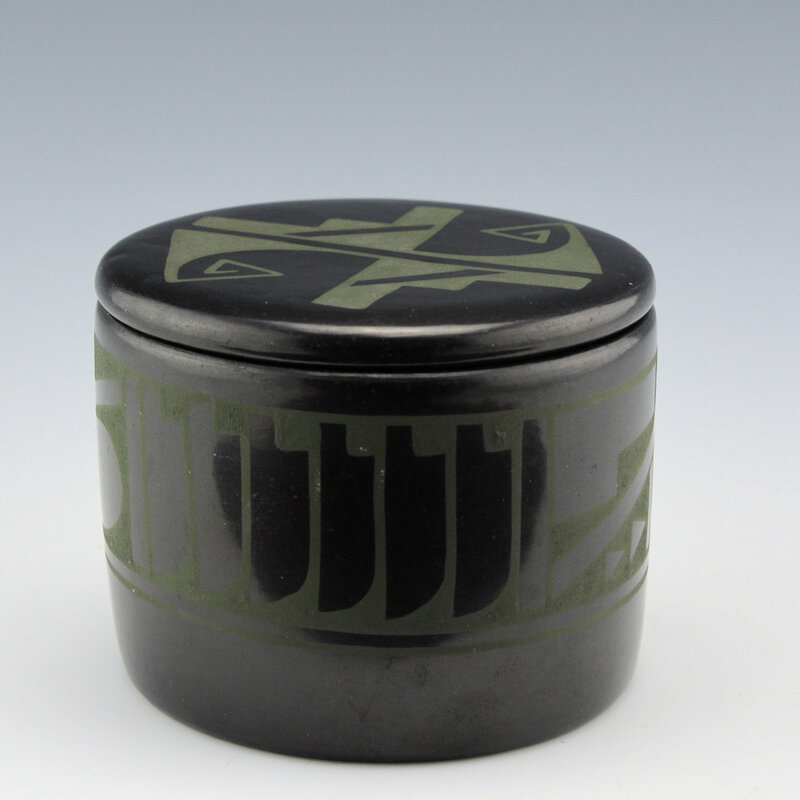 The piece was fired black then “two-toned” green-on-black. It is signed on the bottom in the clay. It is in very good condition with no chips, cracks, restoration or repair.